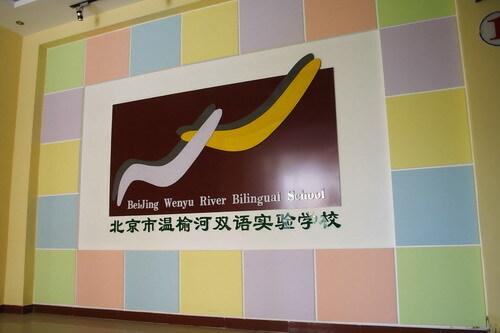 Another option has arisen for those seeking a bilingual school for their children in the northeastern Chaoyang area out towards Shunyi — the Wenyu River Bilingual School. The long-standing school founded in 1946 has a Chinese enrollment of 1,400 students from kindergarten through 9th grade and over 150 teachers. As a bilingual school, the current Chinese students are all exposed to 3 hours a day of English learning. This year Wenyuhe is opening an international department and targeting an enrollment of 40 international students. They will open classes for all grades if there is demand, but will be concentrating on filling the early grades. 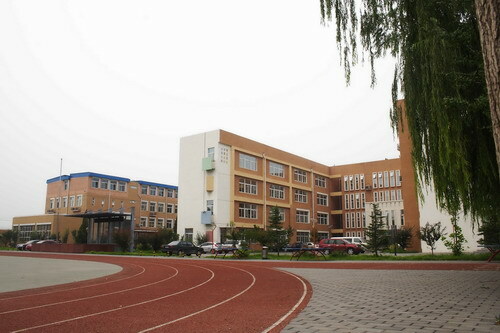 Wenyuhe’s tree-lined campus, its home since 2006, is located between WAB and the Montessori School of Beijing, not to far from the Scitech Outlet Mall and a quick jaunt from Beijing Riviera. We toured the international department, two renovated floors in the southernmost of the campus’s buildings. While not featuring the extravagant surroundings of a good number of the international schools in the area, the school’s facilities include brightly colored classrooms, renovated bathrooms and state-of-the-art equipment such as a mini planetarium. There’s a sizable play area outside with a track and several basketball courts. 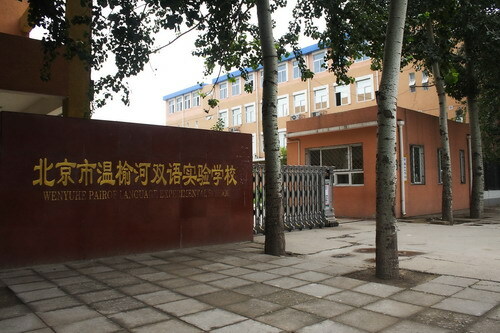 A formal pricing structure has not been set but the school intends to charge a fraction of typical international school fees and has been advertising opening tuition of as little as RMB 20,000 a year. 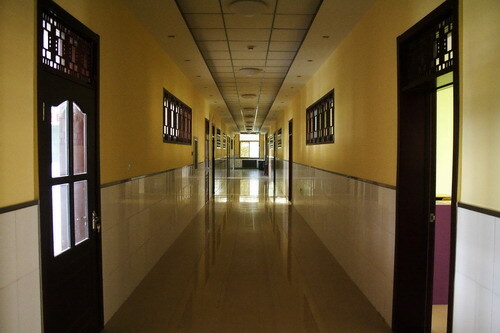 Wenyu River’s curriculum is similar to other bilingual international schools, with a half day of classes taught in Mandarin (language, math and science) and the rest of the coursework conducted entirely in English. Administrators at the school say the advantage of being one of the pioneering families enrolling in the school means a low teacher-to-student ratio and the ability to have close interaction with the administration in helping forge the future direction of the school. They also say students will benefit from the long-term, stable base of teachers that have been teaching at the school for years. Parents interested in taking a tour or learning more about the school and its inaugural intake of international student can contact Justin Meigs at Justin_meigs@yahoo.com.